Branding also can be used successfully in social and behavior change communication (SBCC) programs to help intended audiences adopt and maintain desired behaviors. Behaviors, such as exclusive breastfeeding, taking public transportation or adopting a family planning method, can all be branded to make the behaviors more appealing to audiences. SBCC programs can be branded, as can public sector health services. A brand strategy is created to develop a brand. The brand strategy is comprised of three main components: the brand positioning, the brand personality and the brand execution. Brand positioning was discussed in Part 2 of this guide. Part 1 covered using audience insight to inform a brand. This guide will address brand personality and brand execution. The brand personality is a description of the brand, expressed in two to four adjectives, as if it were a person, such as friendly, bold, smart or confident. Using the exclusive breastfeeding example from Parts 1 and 2 of the guide, the brand personality of this behavior might be nurturing, caring and informed. Why Develop a Brand Personality? The personality is used to shape the tone and voice for all brand communication, including advertisements, packaging and the brand name. The brand personality helps to guide decisions around design elements, such as colors and images. The personality also is used internally, along with the brand positioning, to inform how the brand is presented. It can influence the types of words used and even the content of communication materials. Brand execution is the material components of a brand – logos, colors, fonts, the ‘look and feel’ – that differentiate a brand in the mind of the audience. Execution is designed to take the product, service or behavior, and create a desired image and perception around it. 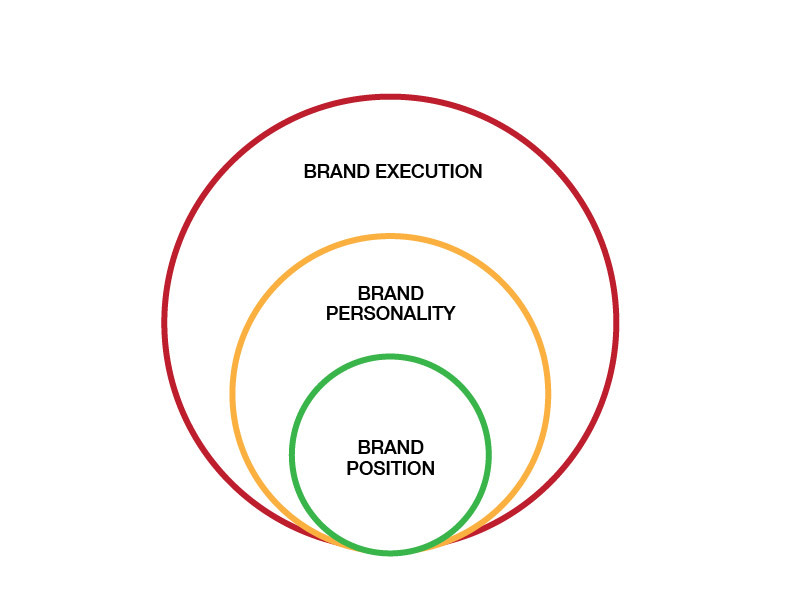 The executional elements should complement the brand positioning and personality. Developing the executional elements is the last step in developing a brand strategy. 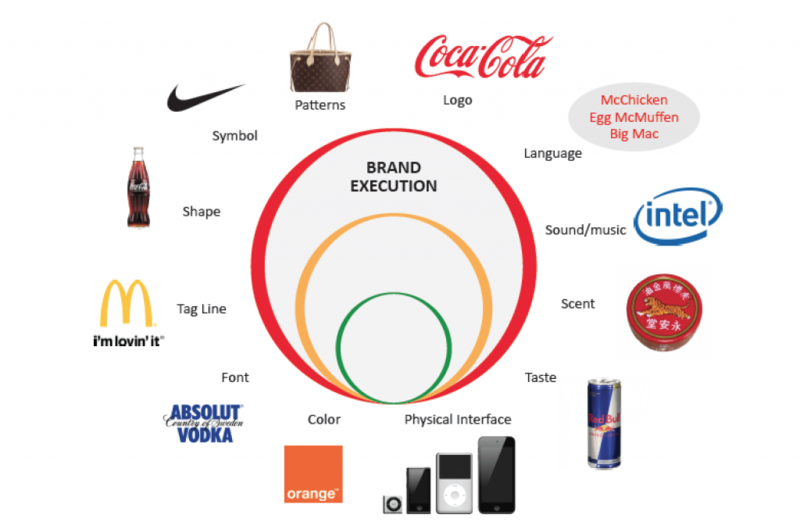 Why is Brand Execution Important? Without brand execution, the audience would not be aware of the brand, remember it or be able to relate to it. Who Should Develop the Brand Personality and Execution? The program team typically develops the brand personality, and can include marketing and communication advisors, key stakeholders and representatives from the priority audience. This team typically develops guidelines for the execution, but an external creative agency or an in-house graphic artist and/or design team should develop the final graphical elements. When Should the Brand Personality and Execution Be Developed? Develop the brand personality and brand execution after developing the brand positioning. What type of person would s/he be? What would s/he say and do? How would s/he say and/or do it? From this discussion, choose two to four adjectives that would best summarize the brand. Record these on the Brand Strategy Worksheet (see Template 1: Brand Strategy Worksheet). Below is a sample list of adjectives that can be used to describe a brand personality. This list is just an example. There are likely many other appropriate adjectives for the brand being developed. Make sure the chosen words are well understood in the program’s context. Is described with a short phrase (no more than two to four words, if possible). Uses a description that can be understood by a wide audience. Is relevant to the consumer because it is based on consumer insight. Is not something that competitors can easily claim. Remember that the brand is unique in the category. Is always informed by the positioning. For Sarah, exclusively breastfeeding her baby for six months is the only free infant feeding option that provides the best nutrition and allows her to bond with her baby every time she feeds him. Refer to the brand personality and positioning samples in the Samples section for examples from well-known commercial brands. The chosen elements should complement the positioning, personality and any other strategic decisions that have been made. They should also match the needs of the priority audience and be likely to hold a place in the audience’s mind. For example, if music is one of the executional elements, it is important to consider which type of music, such as a jingle or song, and which genre of music, such as salsa or rock, will best represent the brand. The choice of what elements to use is guided more by art and less by science, and should ideally be led by a creative team. Record the final decisions in the Execution section of the Brand Strategy Worksheet (see Template 1: Brand Strategy Worksheet). If the brand is a service, make sure that the staff and the features of the physical space complement the brand positioning and personality. For example, if a health clinic promises youth-friendly services, consider replacing graphic sexually transmitted infection posters with posters of youth engaging in healthy behavior. Also, ensure that the staff is trained to be friendly and welcoming to youth. Some of the most successful brands are immediately recognized by just their executional elements, which are consistent through all communication, store design, the types of staff they hire and other elements. The image below shows how some well-known organizations use various elements to execute their brands. Most people will recognize the brand and know immediately what it stands for just by seeing the logos or interacting with other executional elements. Contract a creative team or advertising agency, or engage an in-house design team to develop all of the chosen executional elements. To be taken seriously, the executional elements must look professionally done and be presented consistently across platforms and media. Programs should pretest executional elements before finalizing them. Have the same team that creates the executional elements create a brand style guide (See the Samples section for examples of brand style guides) to help ensure the consistent application of all of the elements throughout all communication outputs. Everyone who creates communication materials for the brand should use the brand style guide as a reference document. 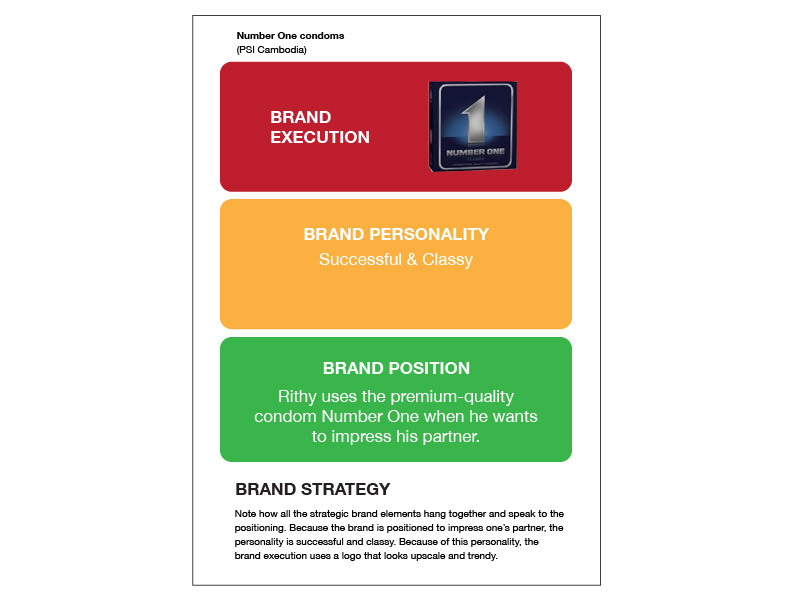 Summarize the three elements of the brand strategy (positioning, personality and execution) on the brand strategy worksheet (see Template 1: Brand Strategy Worksheet). The brand strategy will be used by the program team to develop a brand that will set apart the promoted behavior, product or service in the audience’s mind. Developing a brand strategy is just one part of managing the brand. Throughout program implementation, monitor how the audience perceives the brand. At the local level, listen to what people are saying about the brand, and notice how people react when they hear the brand name or encounter the brand in another way, such as sight or smell. Use brand monitoring data to improve how the brand is marketed and to react to brand-related issues as needed. For example, if monitoring of Internet blogs written by mothers shows a trend that exclusive breastfeeding is consistently linked to terms like, ‘hard work,’ ‘don’t have time’ or ‘could not keep up with it,’ the brand strategy must be revisited. If women believe exclusive breastfeeding is too much work, the brand must better address this issue and determine ways to show that it can be managed (working mom testimonials on how to make it work), or that the additional time spent is worth it (doctors pushing the benefits of exclusive breastfeeding). In this way, monitoring data can directly inform improved brand management. Consistently monitoring the brand and how it is perceived, written about and discussed on social media, such as Facebook, Twitter, Pinterest and other channels, can provide a quick and efficient way to alert program staff when a brand is off track and not being perceived according to the brand strategy. Seeing the brand as a living thing can help brand managers and program staff better understand the brand personality and the traits it embodies. Brand personality drives the tone and voice for all communications about a brand, and is a key component to how consumers will think and feel about a brand. Do not underestimate the importance of the executional elements of a brand. While this is a combination of art and science, helping the audience associate your brand with a musical jingle or a certain shape can go a long way to differentiating your brand in a sea of other options. Executional elements are the tangible elements that represent the brand. These include logo, language, sound/music, scent, taste, color, font, tag line, shape, symbol and patterns. 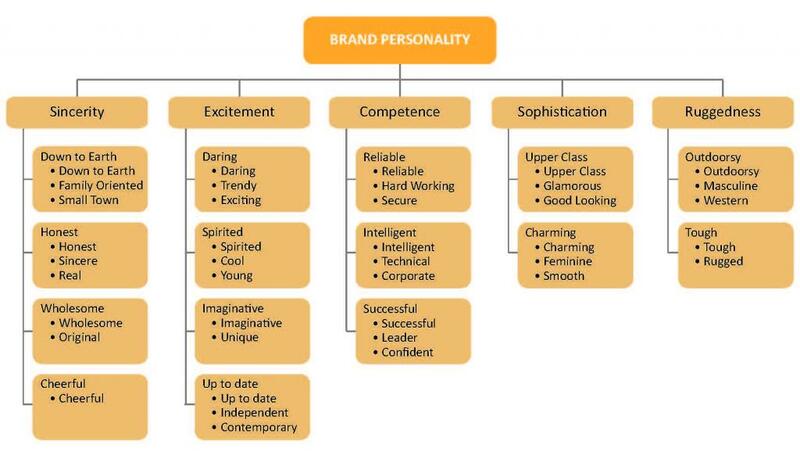 The brand personality is the description of the brand expressed in two to four adjectives as if the brand were a person. The brand personality is used to shape the tone and voice for all brand communication, including advertisements, packaging, the brand name and more. Evans, D.W. Ed. Psychology of Branding. New York, NY. Nova Science Publishers, Inc., 2013. Ritaccio, G. The Needs of a Segment Should Drive Design. Greenbook. The Guide for Buyers of Marketing Research. Online March 2014. Schwabel, D. Top 10 Free Tools for Monitoring Your Brand’s Reputation. Mashable. http://mashable.com/2008/12/24/free-brand-monitoring-tools/. December 24, 2008. Accessed 26 January 2015.